Back in the hazy year 2014, Stiles White made his directorial debut with Ouija. Reviews were – to put it mildly – not kind. None the less, the film was enough of a box office success to warrant the folks behind it, Blumhouse, making a sequel. The internet was less than thrilled and for good reason. Ouija was, frankly, not very good. Released in a year where horror received a breath of fresh air in the form of It Follows and The Babadook, Ouija with its tired premise and uninspired direction didn’t stand a chance. A cookie cutter PG-13 horror film that spotlighted exactly what doesn’t work with broad studio horror. It boasted offensively bland characters, a story with very little stakes, recycled jump scares, and worst of all it was boring. Director Mike Flanagan’s Ouija: Origin of Evil avoids most of the pratfalls that made the first film so lackluster – but not all of them – and does so with style. The first Ouija film, if you’ve not subjected yourself to it, focuses on a young girl named Debbie Galardi and her experiences after moving into an old home with a hidden past, a Ouija board and the spirit of Doris Zander, a young girl used as a vessel by her medium mother and dissappeared without a trace. The second film, a prequel, benefits in some ways from a cursory knowledge of the first, but it is by no means necessary to enjoy the film. In fact, you’d be doing this film a disservice by seeing it first, which I’ll return to later. Everything you need to enjoy and understand the film is presented here. Ouija: Origin of Evil is all about little Doris, the truth about her family and their experiences with a Ouija board in that same old home with an even older and more hidden past. Set in 1967, 40 plus years before the events of the first film, Ouija: Origin of Evil serves as a prequel, following Alice Zander (Elizabeth Reaser) a recently widowed mother and her two daughters, the rebellious and self-conscious high school aged Paulina (Annalise Basso) and the aforementioned Doris (Lulu Wilson), a plucky and charming 9-year-old. Alice is the medium referred to in the first film, and as it turns out, well, she’s not much of a medium. An excellent huckster, though. Faking connections with the other world is a family affair as Alice and the girls stage fake seances as a last ditch effort to pay the bills following the death of Alice’s husband and father to the two girls. After Paulina sneaks out and ends up playing with a Ouija board, Alice adds one to the repertoire of parlor tricks that pay the bills, which already included magnets, shaking tables, and candles that blow themselves out via a complex series of tubes. Alice makes quick work gimmicking the Ouija board easy to fake but the trickery doesn’t end up being necessary as Doris begins to use the board first to communicate with a spirit she thinks is her father and later with numerous other spirits. What starts out innocent enough soon evolves into something much more threatening as the story unfolds. 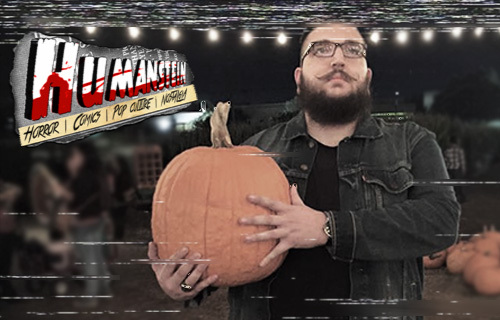 Flanagan stylishly spins what could have been a simple “spooky kid” PG-13 horror film into something considerably more interesting, most noticeably by giving the film a sheen of retro style. Every detail from floor to ceiling screams late 60’s but that stylistic choice doesn’t end at the surface level. Flanagan and his cinematographer Michael Fimognari have expertly recreated the stylish and rueful shots that permeate classic horror. There are loving gliding shots reminiscent of early experimentation with Panaglide and Steadicam, slow push-ins aplenty and shots that beg for comparison to Rosemary’s Baby, The Omen, and The Exorcist and the film’s retro pastiche even goes so far as including the classic reel change “cigarette burns”. These beautiful shots, stylish production values, and above average scripting are supported by competent and believable performances all around, but the show is stolen by its youngest stars, Lulu Wilson and Annalise Basso. Lulu Wilson’s Doris expertly switches from charmingly sweet and cute as a button to a cold, disturbed monster and back again with the skill of an actress twice her age. Basso’s Paulina is the real protagonist of the film, the emotional core and audience surrogate who sees what we see and must struggle to get her sister and her family help while conveying authentic loss, guilt, and acceptance. The whole Zander family is believable, charming, and a pleasure to watch. With enthralling technical prowess and style on display, a cast of charming and interesting characters, and a solid premise, what could possibly go wrong? A fair amount as it turns out. The gorgeous stylized film and its characters are cut off at the knee by CGI that both undermines the style and flair that make the film so interesting, and looks comically out of place. Imagine a film looks like Rosemary’s Baby and then add the CGI from the less than stellar action-horror flick Legion. Now, I’m not going to discount a beautiful and interesting film based solely on poor looking CGI but there is more damning criticism to be made of the film in regards to the third act. The pacing of the film is absolutely demolished by the end of the 2nd act as it becomes clear these lovable and charming characters have to be quickly herded towards the fates we know they must because the film is a prequel. That herding is done in a way that honestly left me feeling there is probably another 20 minutes of this film on the cutting room floor at Blumhouse. The drastic change in pacing and tone is quite jarring. The first two-thirds of the film are a symphony and the last third is Alvin and the Chipmunks. So much information is thrown at you so quickly, with so little time for it to have the emotional weight it should carry that I found myself damn near slackjawed at how quickly the film went from Must-See to Give-It-A-Go. Flanagan is a strong enough director that he is able to take control of the film back for the finale, and that last minute return to form brings it back into hearty recommendation territory. Ouija: Origin of Evil doesn’t reinvent the wheel, or outmatch the all-time heavyweights but what it does do is present an immersive and beautiful world (well, except for the CGI) full of characters you care about and want to see survive, facing problems that are both interesting and threatening and manages some fantastic scares along the way. In the world of PG-13 horror, that’s quite the feat. The largest complaint I have with the film is that it is forced to tie in with the first movie, which works to its detriment. This film would likely have been even stronger if it were not beholden to an inferior film, but this entry into the series gives me hope that the franchise can have legs in the future. 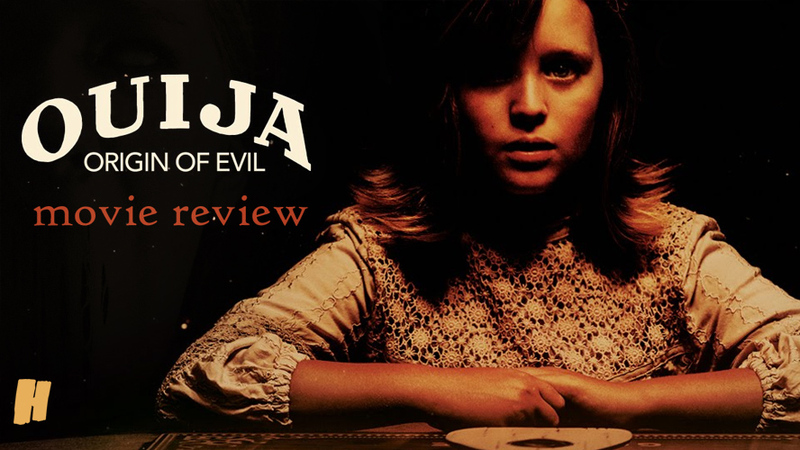 Flanagan and company have made a thoroughly enjoyable horror movie that has almost as much heart as it does horror, and while there are definite flaws in the finished product, Ouija: Origin of Evil is definitely worth your time this Halloween season.